Translation Service HK is Hong Kong’s leading translation company, offering a full range of translation services for a wide range of businesses and companies. We offer the most competitive pricing in Hong Kong for marketing document translation and provide a vital link between global markets. Marketing plays an important role in international commerce, therefore we understand marketing translation is more than simply translating text into the target languages. Instead, we specialise in conveying the correct marketing message by maintaining the same level of impact and emotion. Translating marketing materials requires an understanding of different tones and cultures, therefore all of our professional translators have specialist mindsets to preserve integrity. 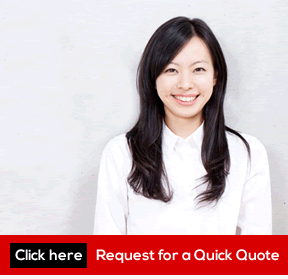 Translation Service HK offer a range of other marketing translation assignments. Some of these also include e-mail marketing campaigns, sales copy, e-commerce websites, strap-lines, labels and packaging. For more information on the marketing translation services we provide, do not hesitate to contact us. Marketing translation is often referred to as ‘transcreation’ in our industry. In translation marketing, it is not enough to simply translate the text into the desired language. Instead, our translators look for certain messages and emotions so they can adapt marketing materials using the correct language and style. This is where we really are experts in our field. All our translators are native in the target language, therefore they understand what is necessary to effectively develop a new marketing message that maintains the same level of accuracy and quality portrayed in the original documents and materials. Each translator will pay attention to the text flow and ensure that the style of the copy keeps your target audience in mind. All of our translators go through an professional training. Because marketing translation requires specialist knowledge of marketing and advertising industries, translators who specialise in general forms of translation are not necessarily the best candidates. This is why all our marketing translators are required to have considerable experience and qualifications in this industry and are put through a stringent quality assurance process. Because the process of marketing translation can be a tricky one, we also provide an optional second quality check upon request. However, we do implement effective project management strategies to ensure our translators get it right the first time. Once finished, all translations are read and checked by another translator for final approval. We are able to support translation between all languages. These languages include Japanese, English, German, French, Chinese, Spanish, Vietnamese, Korean, Indonesian, Russian, Afrikaans, Arabic, Slovak, Spanish, Italian, Serbian and Hungarian. In addition, we can cover regional dialects and different versions of languages, for example, the differences between European and Canadian French. Why choose us for your marketing translation? Well, the answer is simple. Translation Services HK is highly qualified to provide a quality and professional marketing translation service for a range of small to medium sized companies. 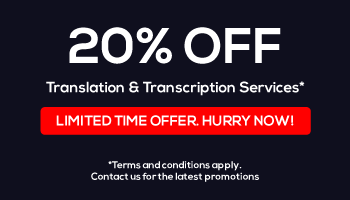 We are specialists in an incredible amount of languages and ensure 100% accuracy in our translation methods and techniques. Translating marketing campaigns allows businesses to cross barriers that are normally impenetrable and no one understands how to effectively produce these results like Translation Service HK. We offer a free service quotation for a range of marketing materials and you can contact us via email for more information.